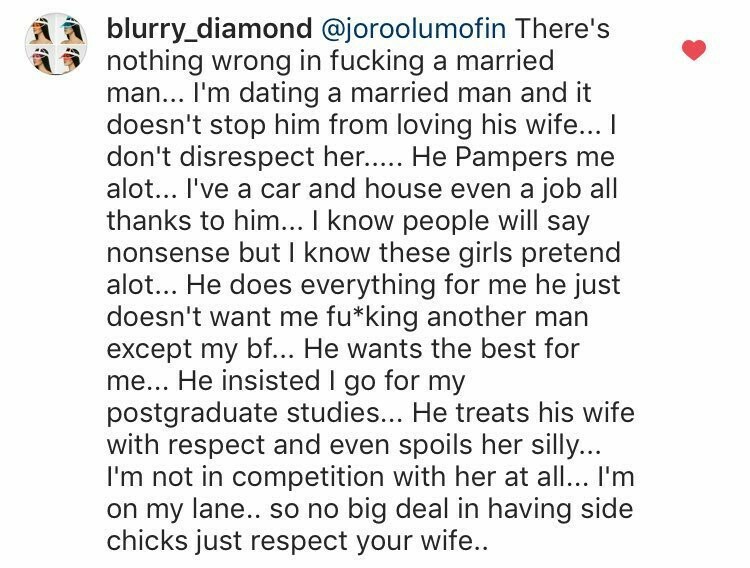 A young Nigerian lady wrote an Instagram message to psychologist, Joro Olumofin saying there’s nothing wrong in having an affair with a married man. Oh! wrong Don’t FOOL yourself my sister. Your body is God temple and you should keep it holy, ask God to give you a lovely husband and everlasting happy marriage life.